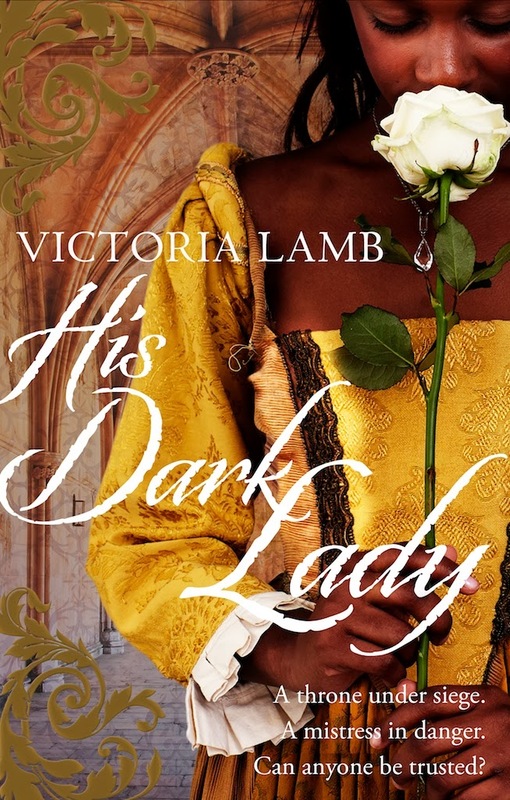 Victoria Lamb: LAUNCH DAY PARTY for The Queen's Secret! 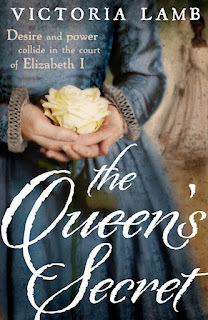 LAUNCH DAY PARTY for The Queen's Secret! 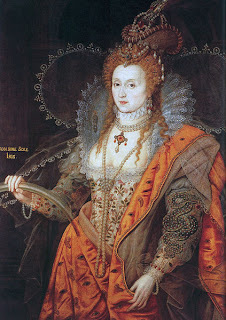 To celebrate this very special launch, I have come to the party as Elizabeth I in her Rainbow phase. Here I am, looking particularly bright and rainbowish. We have coffee and delicious cakes this morning, then a selection of cheeky cocktails in the afternoon, followed by chilled champagne and canapés in the evening. 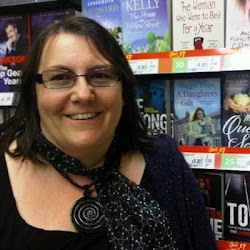 If you have hopped over here at any point during the day to read my launch party blog post, please join in the fun. Say hi below, and maybe let me know which historical or fictional character you have come as. 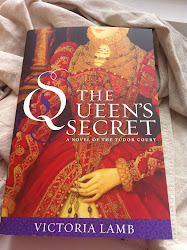 THREE hardback copies of The Queen's Secret are up for grabs here to randomly selected winners who leave comments. If you don't need a copy - because you have one already, naturally! - just say so and I'll leave your name out of the draw. Remember to check back in a day or two to see if you've won. 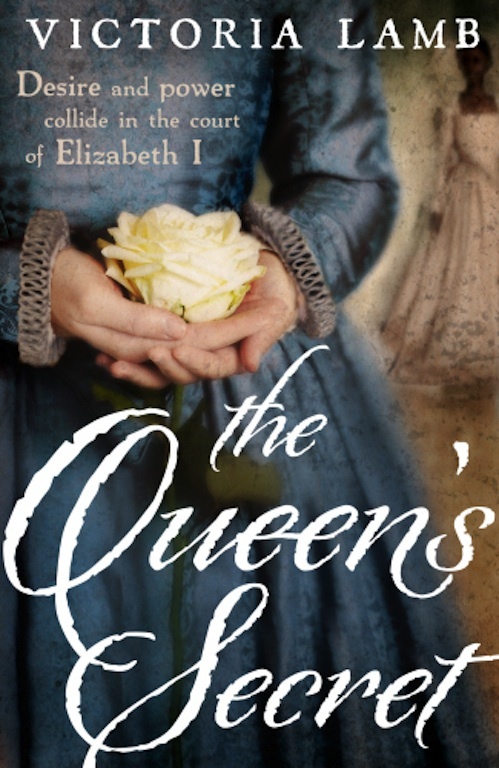 Otherwise, you can find a copy of The Queen's Secret in hardback and ebook in the UK, and as an ebook in the States. Happy Launch Day to me! Congratulations on your Publication Day!! The Winter Queen asked me to express her sincerest joy in hearing about you & your writings and she hopes many will enjoy reading it :) ! Congratulations on the launch of your beautiful book - the cover is absolutely gorgeous. Have a wonderful celebration today. I'll have a large slab of cake and salute you with a mug of coffee! Happy happy launch day! It's just after eleven... that must mean I can have a cocktail, surely? Oh, cocktails all round, Talli, definitely! Thanks, everyone, keep the comments - and the lovely characters - coming! I do believe you are all a little the worse for drink but might I offer my humblest congratulations on your book launch. Queen Elizabeth's relationship with the Earl of Leicester is one that we often talk about in the servants' quarters at court. I'd like to think that she had a full and happy one but then there was that unpleasant business with wives down stairs. How, pray tell, have you explained that one away? If the hand of luck is on my side I may be pulled out of your wonderful velvet hat and receive my very own copy. I shall now return to handing round cocktails. I know my place in Elizabethan society! Congrats on the launch, Victoria! I'm in need of some coffee and cake, thank you. Just to spice things up, I have come as Mary Queen of Scots (since I'm Scottish), with her head intact, if I am permitted to be in your presence, gracious Queen. [Roars] Off with her head! Happy Launch Day!! Do we have proper little cocktail umbrellas, too? I'm coming as Catherine of Aragon, complete with a jug of sangria as my contribution to the drinks table, because however hard tried, old Henry couldn't get rid of her. Stand up for your rights, sister! Happy Launch Day and here's to the cocktails. I think I'll come to the party as Bess of Hardwick. Oooh, Debs, she's one of my all-time favourite Tudor women! Love Bess of Hardwick! I think I'm going for a Brandy Alexander with ice. Anyone else? Happy launch day. 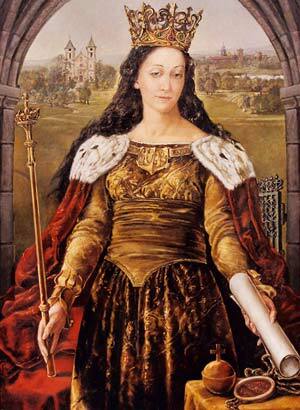 Just to stir things up and bend the rules a little, I've come as Mary, Queen of Scots. And please may I have a large vodka martini or two so that I can play my part and lose my head? Loads of luck with the book. 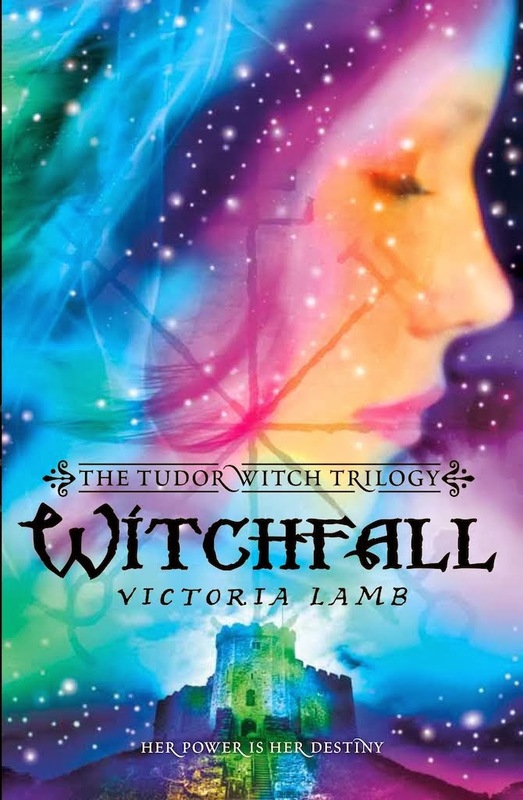 Yay, Happy Launch Day, Victoria! 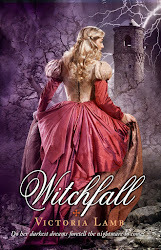 I have been dying to read your book, so please sign me up for the very generous giveaway! Pass a large pitcher of cocktail over here. I haven't come as historical I'm afraid. I'm in jeans and a Red Wings ice hockey shirt and you'll have to wait until May 3rd to find out who I am! 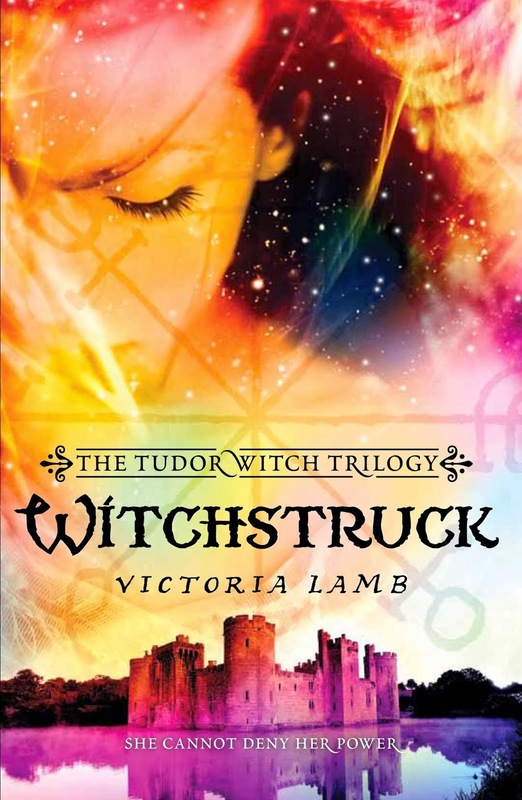 Big congratulations on your launch day Victoria - I wish you every succcess with the novel! Is there a pool table here? A pool table, huh? You're a woman after my own heart. It had better be American 9-ball though, that's more entertaining. Amy, you're on the list! I think there's also a giveaway on at the Book Bag review site too, unless it's finished. TEN copies - not bad. Dearest mother! 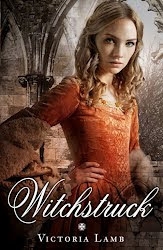 How superb ... and just in time for a catch-up, as I'm writing you into a scene in my current work-in-progress for the #Witchstruck YA Tudor series. Mwah, mwah. Air-kissing really comes into its own with decapitated party guests, don't you find? Congratulations on the launch of The Queen's Secret. Am I in time for champagne? Grab a champagne flute and start dancing. Definitely a day for champagne and some good chocs - enjoy. Great Party! Thanks, Judy! Have some chocs yourself while you're here! Oh my head! Just staggering out of bed after some serious partying last night ... Sorry I didn't make it back for a final hoorah, it all got a bit out of hand at this end. Ooohh, how did I miss this?? Silly FB!! Are there any leftovers?? At least YOU won't be needing to jump into the draw for a free copy, lol, since yours is already winging its way to Bonnie Scotland. Damn it, I've arrived late at the party, dressed as Queen Christina - the *other* one who got away. I'm hoping my sober raiment will both attract attention to my clear skin and high intelligence, and also make your royal highness look even more splendid on this, the day AFTER your publication. I have brought you a congratulatory present of a Berocca. And you KNOW how I want to read your book. Being my very *special* friend, Katy, I shall of course forgive your tardiness. Many thanks for the pressie, though my secret of eternal energy lies in the baths of warm asses' milk I take every morning. Honest. Ooops, that should have been 'feel' not 'fee' there. Obviously my subconscious telling me something! Please see my new blog post for the winners and to claim your free hardback edition of The Queen's Secret. Sorrow to those who failed to be drawn out of the hat by my husband's slightly grubby hand, but I hope you will eventually come by a copy and still get to enjoy it. Many thanks to everyone for attending my cyber launch party!!! FREE Book Party Winners Announced!